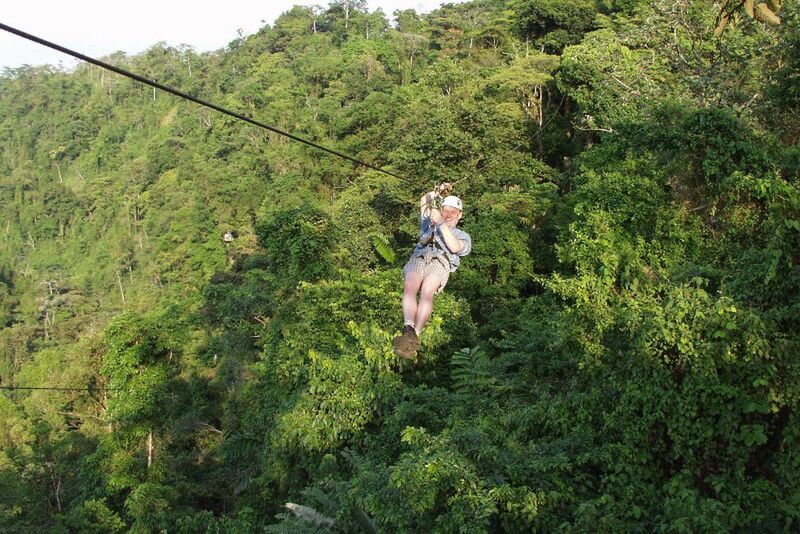 Float in the Superman position up to 430 meters - high above the treetops of the rainforest. Swing by cable car from platform to platform - a true Tarzan experience! The ideal excursion for families! Look forward to lots of fun and adrenaline! Have your very own Tarzan experience, swinging from platform to platform and with fantastic views of the magnificent scenery of the tropical rainforest, high above the treetops! 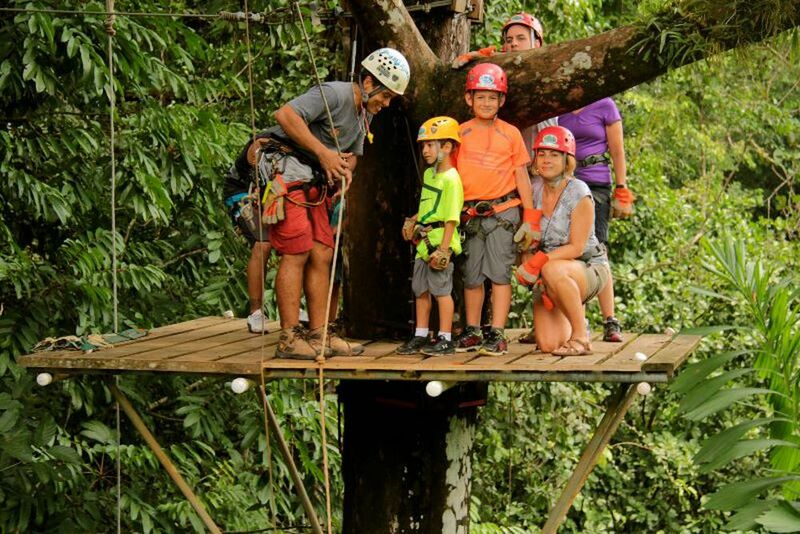 A Canopy Tour is an absolute must in Costa Rica! Before you start, your guide will provide you with professional equipment and will familiarize you with the necessary safety precautions. It will then be pure adrenaline! Feel like Tarzan and swing from platform to platform by cable car. Open your eyes and enjoy this fantastic view - the lush green landscape, the unique flora and fauna. Listen to the singing of native birds as you hover between the treetops of the rainforest like Tarzan, to get to the next platform. 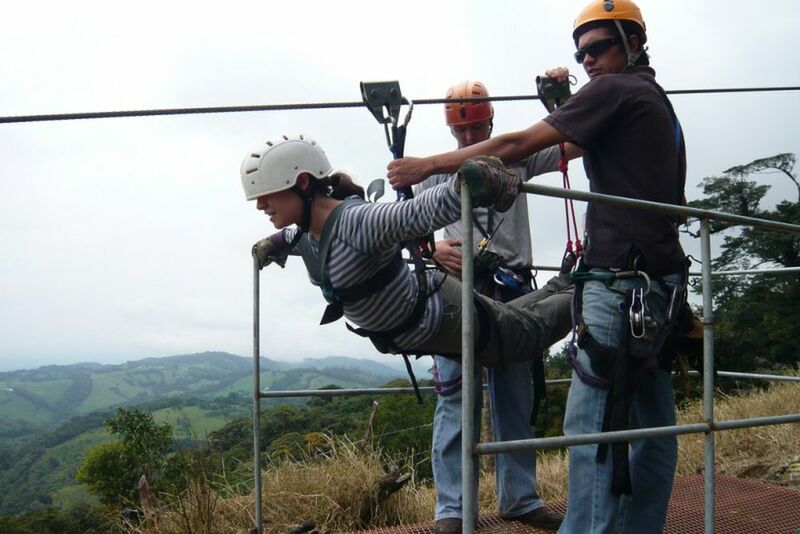 Look forward to a real adrenaline kick as you sometimes swing up to 430 meters in the Superman position. Another adrenaline kick awaits you at the end of the day: mini bungee jumping to wrap up this awesome tour! It will be a day for the books. Children above the age of 5 can share this experience with the guide. Number of participants: min. 2 persons, max. 70 persons. We would be pleased to consult with you about this trip! Do not have an exact travel period? ... and for how long? ... with or without a flight? Mrs. Mr. Mrs. Dr. Mr. Dr.
Why does itravel need my phone number? As soon as you submit this request, we will provide you with a quote without obligation, that is customized to your requirements, at the right price. If we get any small question from you, they can also be clarified more quickly and effectively over the phone. take your individual wishes and ideas to 100% into consideration. to save you time and to send you an offer as soon as possible. also if necessary, provide you tips, help, and answers. In no case will we ever give or share your data to third parties or contact you for advertising purposes by telephone. There was an error, please try again. Please fill out all fields. Sign up to receive our latest offers straight to your inbox. Newsletters can be canceled at any time.